I basically live in distressed boyfriend jeans. 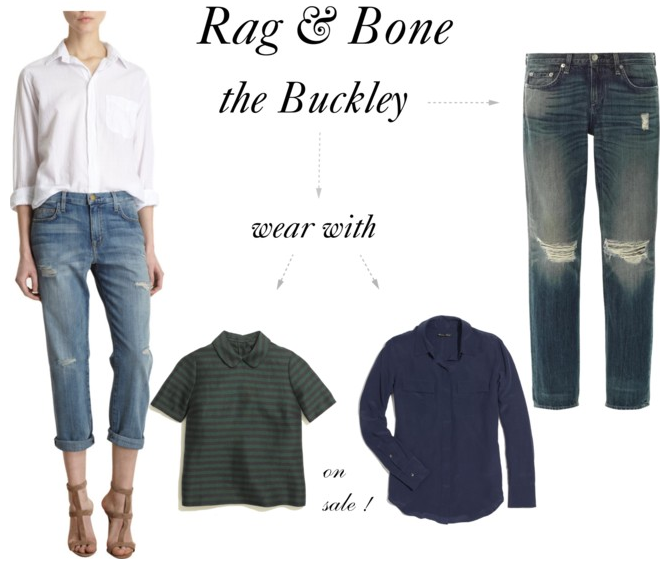 I am fairly confident they have changed my life for the better, which is why I couldn't resist trying on this pair of Rag & Bone Buckley boyfriend jeans when I was drooling over all the new gear in Capitol last week. Hello, perfect boyfriend denim! The fit on these jeans is insane. They are comfortable (a must) and have just the right amount of stretch without losing their shape. The tattered knees and relaxed fit make these jeans ultra cool. 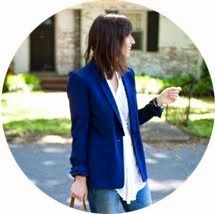 I love this jean with a silk blouse like this Madewell Silk Cargo Blouse (on sale) or a more structured top like the Curved Collar Top (on sale). These jeans will hit your wallet hard, but if you live in boyfriend jeans like I do, they may be the only pair you will ever need. They are 100% worth a try-on. Just be careful. As Frank the Tank famously said, "Once it hits your lips, it's so good!". Exactly. Those are a worthy investment. They are great jeans! !